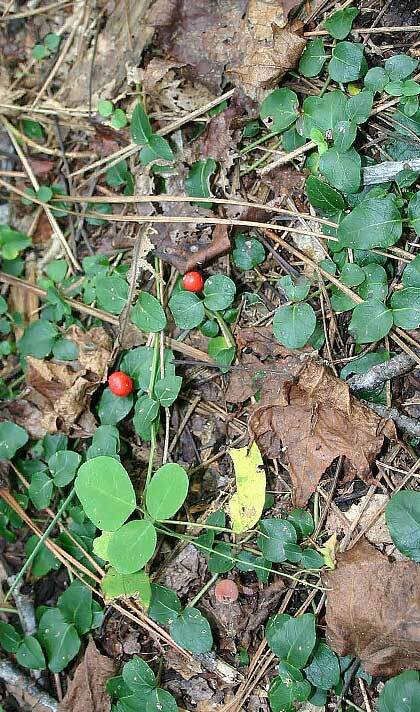 This delightful native groundcover makes a fine adition to a woodland garden in mesic, mixed forests and provides wildlife food with the berries. 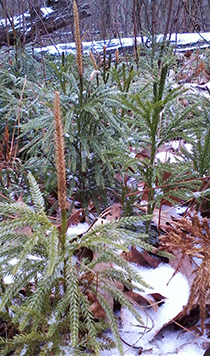 This is a beautiful club moss native to Virginia that stands about 6 inches tall and branches like a small tree! This species is also called ground pine, because of it’s resemblance to a pine tree and its habit of spreading through underground runners. This plant grows in forested areas on moist but drained uplands, and similar conditions in cultivation will likely lead to the greatest success; however, we are experimenting growing this plant with our highland tropical plants as well.